George Soros "confused right and wrong in a meaningless statement," China's foreign ministry spokesperson said. Billionaire investor George Soros had called Xi Jinping the "most dangerous opponent" of free societies. China dismissed remarks from George Soros as "meaningless" on Friday, after the billionaire investor called President Xi Jinping the "most dangerous opponent" of free societies and warned against Beijing's high-tech surveillance regime. Soros "confused right and wrong in a meaningless statement, and it is not worth refuting", said foreign ministry spokeswoman Hua Chunying at a regular press briefing. "In today's world, it is clear who is opening doors and building roads, and who is closing doors and building walls," she said. "We hope that the relevant people on the US side can... take an objective, rational, and correct attitude towards China's development," she added. On Thursday, the Hungarian-born US philanthropist stressed the threat posed by China's high-tech authoritarian regime while speaking to a dinner audience on the margins of the World Economic Forum in Davos. Communist China under Xi has been building a cutting-edge system including facial recognition to keep tabs on its citizens, and Soros said algorithms would calculate how dangerous a threat individuals might pose to the regime. "The 'social credit' system, if it became operational, would give Xi total control over the people," he said Thursday. "China is not the only authoritarian regime in the world but it is the wealthiest, strongest and technologically most advanced," he said, noting similar concerns about Vladimir Putin's Russia. 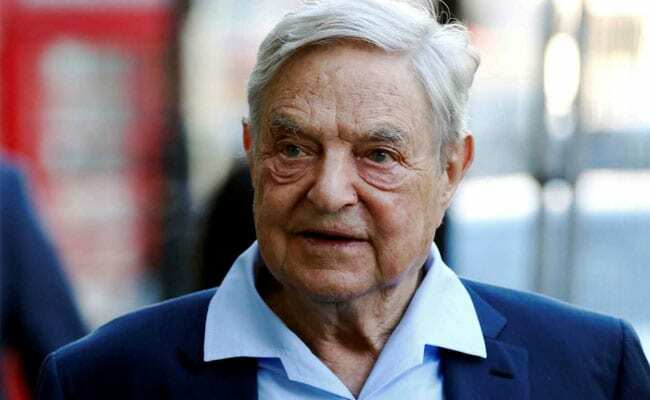 Soros also urged US President Donald Trump to crack down on Chinese tech giants ZTE and Huawei, as he believes their 5G technology would present an "unacceptable security risk for the rest of the world" if they dominated the market.